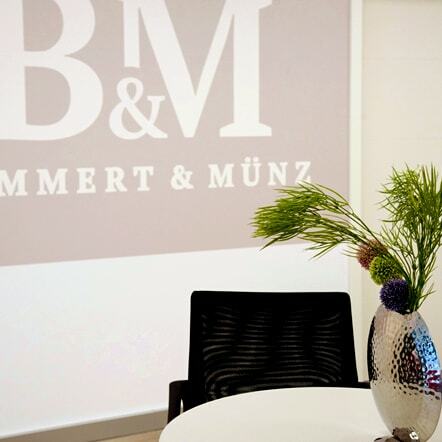 Bemmert & Münz are professionals in the area of pension and insurance. 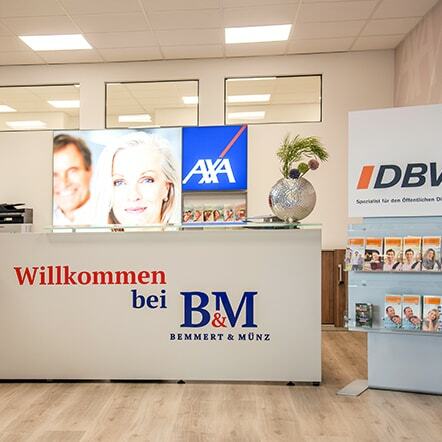 They can offer you round-the-clock consulting, stock analysis, suitable insurance solutions in all risk issues. Aware of the diversity of demands, the company can offer you tailor-made solution both for private and corporate customers. Shortways, quick reactions, and unbureaucratic action are just a few reasons why working with them is so constructive. 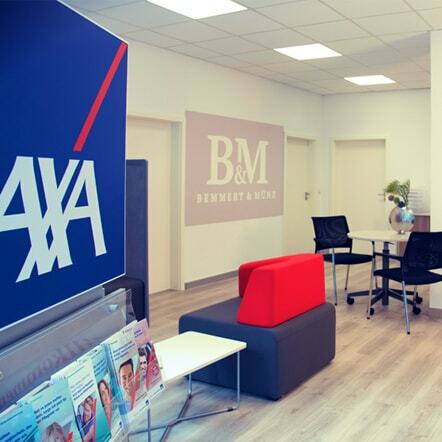 In order to present their professionalism in the core business of this respectful company, attention was on blue and touch of red. 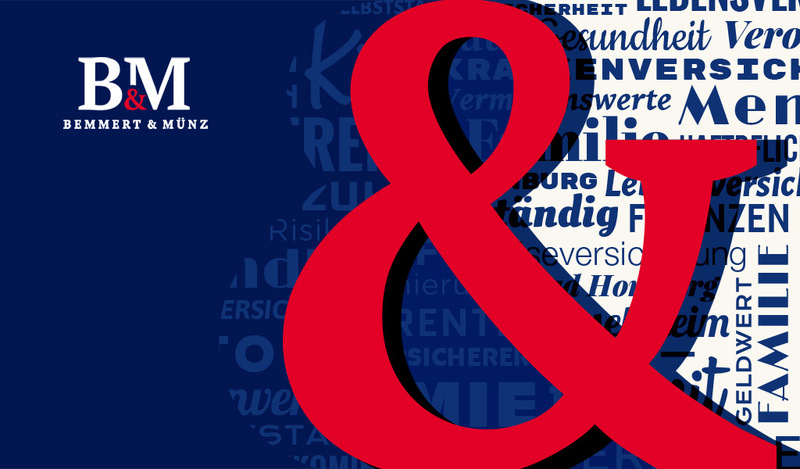 Lines are full and clear, equal „B“ and „M“ stands for their long-lasting partnership, together they stand for unique logo design. Previous solutions were the inspiration for the new one. Simple and straight lines with triangle symbolized path of success. Other two designs were more simplified and go with larger initials that lead to logo design we have today. 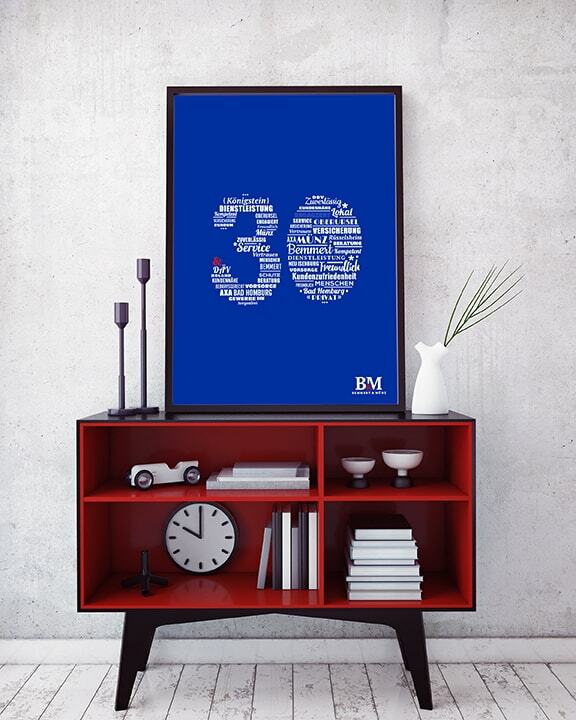 What can you build in 30 years of business, we can make a memorable poster design. Think big and You’ll make it too! Design and development should respond to the user’s behavior and environment based on screen size, platform, and orientation. 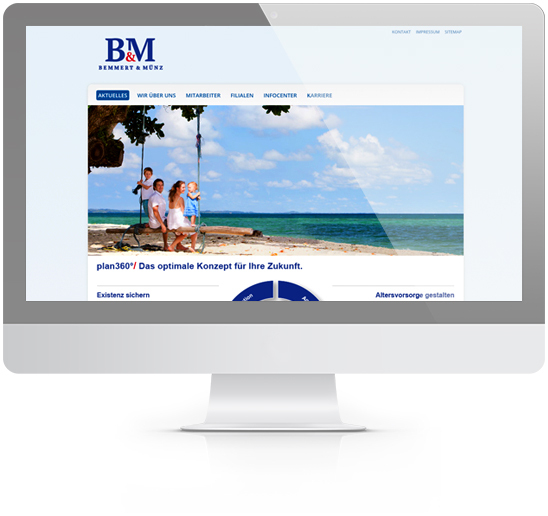 Switching from one device to other, website immediately accommodate to resolution, image size, and scripting abilities.